With less than a week to go, there's still time to make "The Folio: Neo-Retro Gaming Modules for 5th Edition" by R. Scott Taylor happen. See more here. 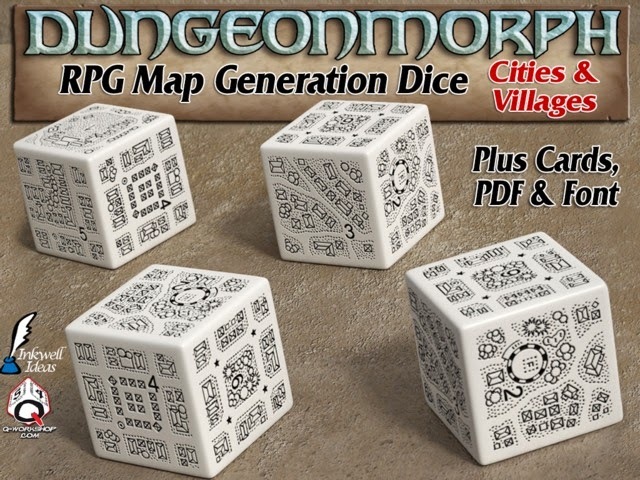 A couple of weeks plus to go for "DungeonMorphs 2: Cities & Villages: Map Generator Dice/Cards" by Inkwell Ideas. Check it out here. Finally, have a look at the already very well funded "Flat Plastic Miniatures" by ArcKnight and see if you'd like to get involved as well here.